It is with great love honour and Joy I express the truth of the many Pure Divine Great and Glorious Souls that are here to help Humanity, to assist us all in our awakening Integration and creation of a New Reality for all to love cherish and Enjoy : ) x. Whereas the Legions and Families of Light can help Humanity with ALL aspects of life it is my Greatest Joy to express how they can assist with your Divine awakening and integration as in truth all positive changes to your being reality and the earth come from the positive changes you make within and the integration of your truth OM x. My friends the Legions of the Light the Great and Glorious Pure Divine Beings of Light surround and encapsulate the Earth in a Pure Divine Great and glorious Sphere of Light at this time and they come forward with the Creator to save assist love support and most importantly at this time to Awaken Humanity so that they may re-discover themselves and re-create their World for the benefit of all Life on earth including themselves. The time of ignorance of darkness of separation is over. The Age of Light has begun and there is freedom and safety for all to emerge as their truth and the Angels, Pure & Powerful Guardian ArchAngels of the Light of God envelope the earth in their Light to Guide Protect assist Love and support all through this process of blossoming from within. Now is the time of Great transformation and change, now is the time of emergence and all who wish to be their truth upon the Earth are Guided Guarded Loved beyond measure assisted and supported in birthing their true Pure divine innocence and essence upon the Earth and we thank you for being here and doing so at this time, Thank you OM x We Love You x x x. Beings of Pure Light aka the families of Light (Fairie elementals, Angels, ArchAngels, Ascended Masters, Goddess beings of the light of God, Christed Extraterrestrials) throughout the Creator’s Universe and dimensions are here and can be called upon to assist you with your emergence: All you need to do is ask : ) OM x. Whereas each Pure being of Light has their own specialities energies skills and abilities all exist as their Pure Light within and can assist you with your Awakening and Emergence. You can either ask to connect with your Personal Angels and guides or connect by name with the beings that you feel you have the most affinity with. How can these beings of Light assist you, these Beings exist as their exquisitely Pure divine truth and can effortlessly emanate their light into your aura and your being dissolving any and all energy that does not serve anymore making it much easier for you to activate feel experience and integrate your own divinity your own Pure divine light : ) x. They can also guide you assisting you to make decisions if required however as always they will also guide and assist you to listen to and integrate your own Soul and Source and to listen to your divine Intuition. They can also amplify your thoughts and intentions assisting you to truly create what you truly desire at a Soul Monad and Source level of your Being to truly create a Beautiful Happy and fulfilling life for you in such a way that serves your highest good and the highest good of all. All you need to do is ask : ) x. Meditation: To feel the presence of your Personal Angels and Guides make some quite time for yourself and sit quietly, take some deep breaths and allow yourself to relax, allow yourself to be comfortable in a sitting position and focus on your breathing to gain a relaxed meditative state. Allow your mind to clear and focus on the energy around you allow yourself to focus on the energy that surrounds your body and when you are ready ask your Angels and Guides to Guide Protect and surround you with their Pure Love and Light you will start to feel their High vibrations surround you. Ask them to fill and surround you with their Light and to assist you to activate feel and experience your own Divine presence. 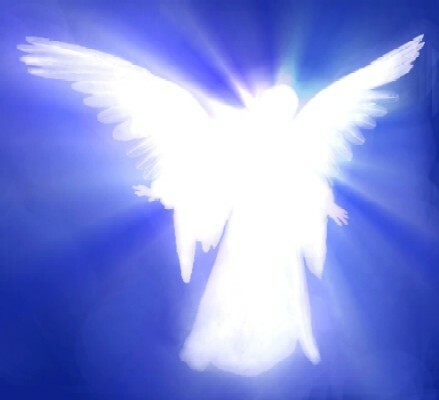 Update: Our Beautiful and beloved Angels and Guides are High Vibratory Celestial Beings of Light who are always here to assist us along our unique path and journey of Ascension i.e. the process of integrating the Higher Vibratory light of our Soul Higher-Self and Source into our awareness and physical energy body therefore greatly increasing or ‘ascending’ ; ) our vibration i.e. the vibration of our cells and all aspects of our energy and body upon the Earth OM x. Many people say ‘but I cannot see my Angels & Guides’ (although at this time many people can feel them and all you have to do is ask during Meditation, activate your Soul Light and then with your own hightened vibration and awareness you WILL clearly UNQUESTIONABLY and PROFOUNDLY feel their Beautiful Glorious and Pure Radiant light with Ease OM x : ) x. They are such Beautiful Glorious and Pure Divine Radiant beings of light who make their Pure divine Celestial presence available to ALL x : ). As you continue to increase and ascend your vibration : ) then you WILL be able to SEE their Rays of Light and celestial Heavenly Bodies as you WILL in time be able to SEE your own upon the Earth. OM x with great love and honour to them x as they are so Pure Divine selfless and truly beautiful and glorious beings of light x I have so much love and gratitude for them, thank you x haha and THEY SMILE radiantly : ) x. Allow their Light to shine through over and around you now and always my friends OM x. Just like walking or ascending : ) a Mountain you can only see what is on-top after you have climbed there yourself. Similarly with the process of Integrated Ascension we can only see or become aware of the Higher Spiritual dimensions when we increase our own vibration from within. I have to say at my friends that the Angels and ArchAngels of the Light of God are SOOO incredibly helpful and supportive along the path of Ascension I encourage you to call on them to assist you every day as I do OM x : ) x. Thank you : ) x.